anjelique: What's In My Makeup Bag? I'm coming to you with a sneak peek into what's in my makeup bag at the moment. If you want to see what products I'm currently reaching for with a little twist, then just keep on reading! I also had a go at a stop motion video which I'll admit- it was quite tricky and time consuming to film and edit but I'm pretty proud of it, especially because this was a first attempt! Leave me your thoughts below! What are some of the makeup items that you're carrying around the moment? My eyes immediately widened at the sight of your Charlotte Tilbury pieces.. I really need to try some of her collection out for myself! :) Have a wonderful week ahead, Anjelique. CT is life! You need some of her stuff- it's absolutely luxurious! Aww thanks so much lovely! Yes, definitely check out her stuff, it's so lovely! Your video came out really good! I bet it did take time, but it looks so fabulous. I have that Too Faced mascara! It's really good. I just tried their Born This Way Foundation and it's good. I always hear great things about NARS. Thanks so much Kim! Love their mascara so I will definitely have to check out their foundation then! 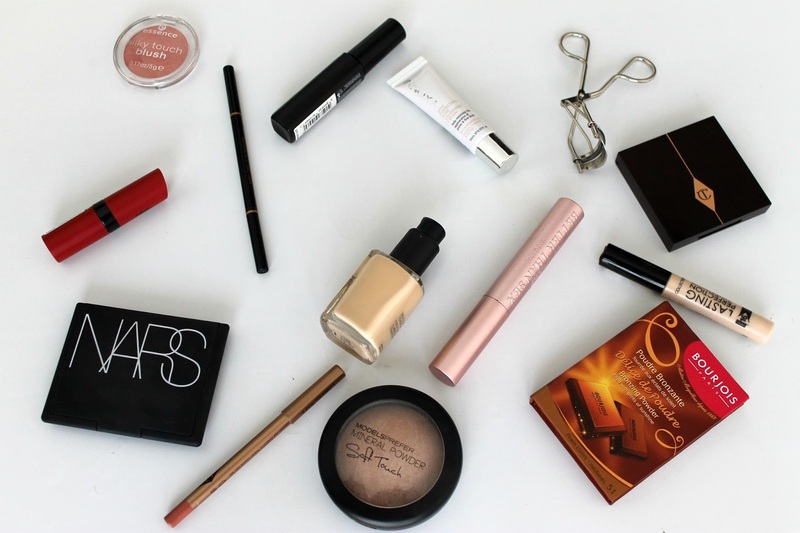 Nars is definitely one of my top brand picks! I can't imagine how much time it took to make that video but hey, it's brilliant so good job! And ahhhh, those CT pieces are just dreamy. CT finally launched here in Canada but I have yet to get anything because $$$. LOL! Haha aww thank you so much Shireen! I love all the NARS that you've laid out there!! Nars Sheer Glow is my all time favourite foundation! Love it! Also really love the Charlotte Tilbury palette, I need to pick up more of her products. Oh I love reading these and the gif is so cool!